Laugh and cry, absolutely free, at these local and diverse shows. Writer. Comedian. Tiny Brown Human. 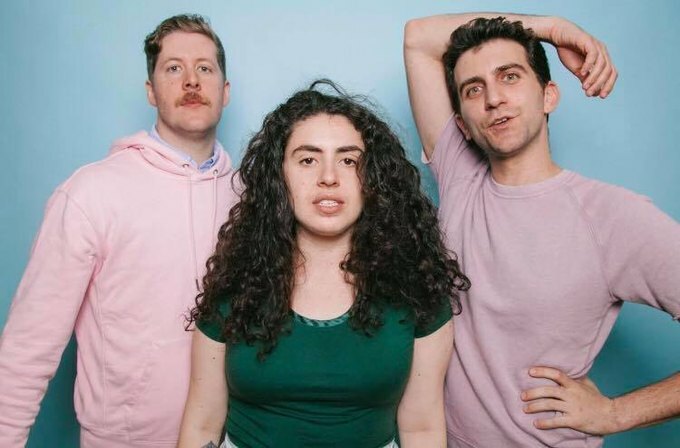 Jones Beach Cafe on Feb. 7 at 8 p.m.
At this fun comedy show located at the hip and cozy Jones Beach Cafe in Bushwick, producer Jess Reed presents four of New York City’s best comics in an intimate setting so you can really get to know them. Most comedy shows feature five to eight comedians, but Reed is more interested in smaller line-ups to give comics the opportunity to work out a longer set at this supportive show! “Oh baby, you know what you need in your life?” Some comedy. Pine Box Shop on Feb. 7 at 8 p.m. 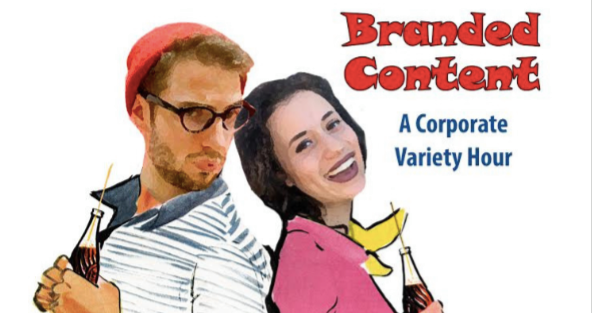 BRANDED CONTENT™ is a monthly corporate variety show hosted and curated by Simone Norman and Jackson Fisher, featuring standup, improv, and messages from the office. This month, Branded returns more genetically modified than ever! Their corporate friends at Monsanto will be offering a special menu of growth-hormone infused cocktails. Thanks to new government subsidies, they will be featuring some of New York's finest comedians, as well as paying some other comedians not to tell jokes in order to artificially inflate the market. “That's a corn subsidies joke!” they say. Precious Metal on Feb. 8 at 8:30 p.m. 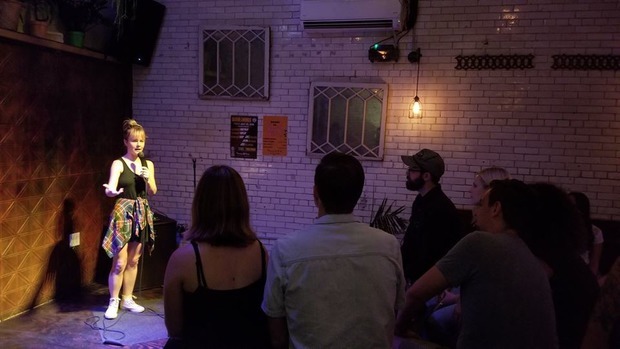 Precious Metal is a neighborhood favorite featuring an intimate full-service bar with an array of variety events nightly, including: House Of Bricks, a rip-roaring comedy show hosted by three best friends Hannah Boone, Brandon Ream, and Gideon Hambright. 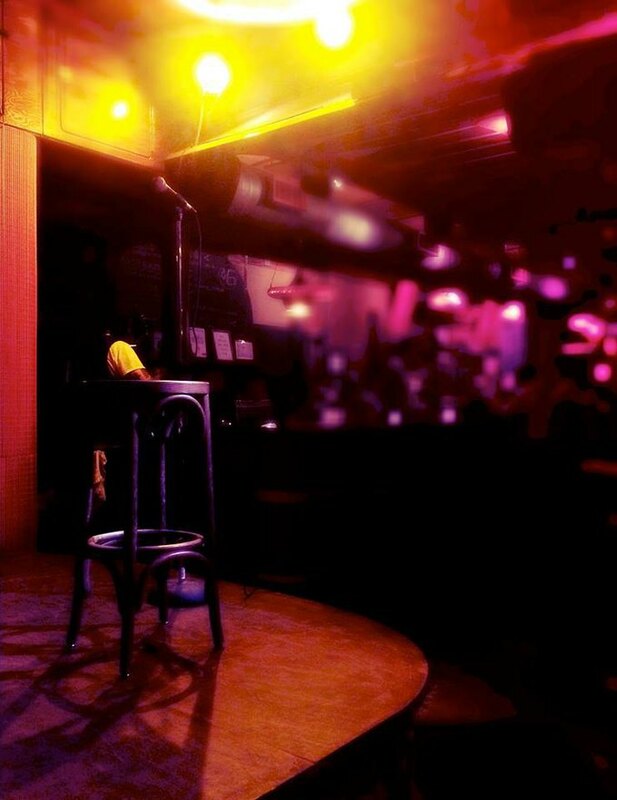 The second Friday of every month they bring out their absolute favorite comedians to tell jokes, party and have an all around good time. 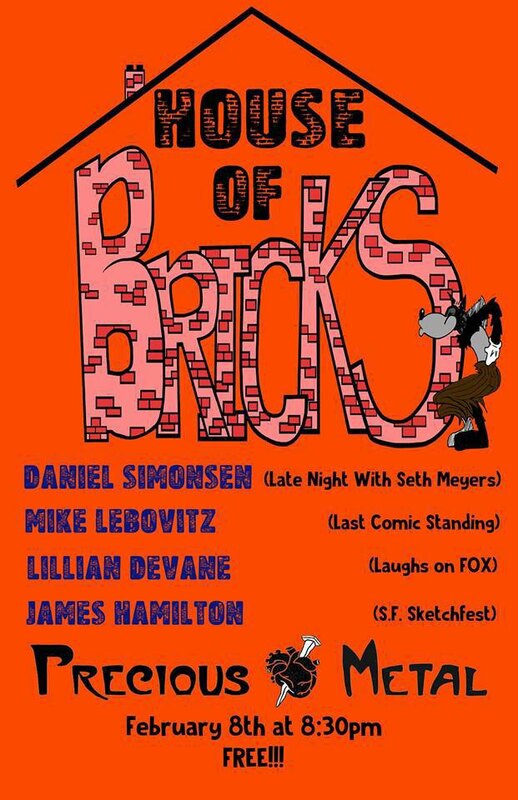 It’s the most fun you’ll ever have in Brooklyn, put together by the nicest people you’ll ever meet. Come out and celebrate their 10th show ever! Starr Barr on Feb. 13 at 8 p.m.
What makes this show special? Hosts Brian Mitchell and Tyler Richardson met at open mics years back where Richardson almost always greeted Mitchell with “Black Man!” because they were generally the only visible black men around. 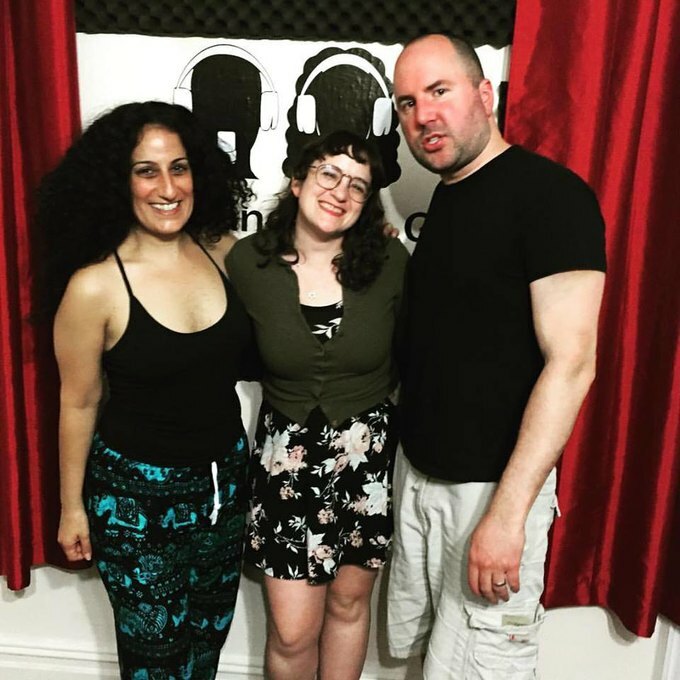 Their compatible personalities eventually inspired them to produce a comedy show which lives at Starr Barr every second Wednesday of the month featuring an eclectic lineup of hilarious New York City comedians. “I love when audience and comics tell me that they had a great time, it feels like we’re adding something to the city’s comedy scene,” said Richardson. The Starliner on Feb. 13 at 8 p.m. 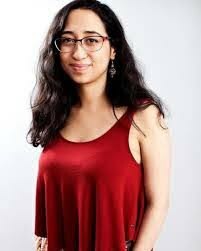 Comedy on Myrtle is a free comedy show every second and fourth Wednesday of the month hosted by Malia Sias and Chris Cheney. Located at The Starliner, a beautiful bar with full bar service and an outdoor patio (available when it’s warmer), Sias and Cheney carefully curate their comedians, featuring a new line-up each show forcing you to laugh your buns off. Grab your seat here. Pine Box Shop on Feb. 14 at 7:30 p.m. Hosts Sellers Webb and Graham Techler are self-described aliens. They come from worlds away and every month, they fly their big ship down to Pine Box Rock Shop in Bushwick. They come to learn about human nature through improv—recruiting comedians from institutions like the Upright Citizen’s Brigade Theatre, MTV, Comedy Central, truTV, Netflix, McSweeney’s, The New Yorker, and elsewhere. Join them for a special Valentine's Day edition, as they explore the cosmic mysteries of the human heart. Precious Metal on Feb. 15 at 9 p.m.
Silver Linings is one of the hottest comedy shows in Brooklyn hosted by Will Watkins! Silver Linings is presented by Precious Metal with prominent performers in the comedy industry as seen on Comedy Central, MTV, Late Night TV, national festivals and others! The show is absolutely free and every third Friday of the month. 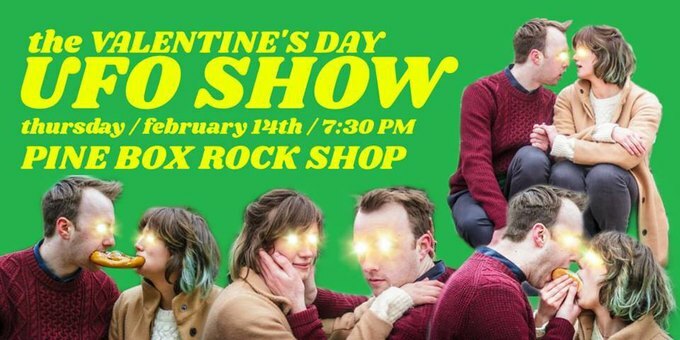 Arrive early to check out this packed, popular underground show! Updates can be found here. 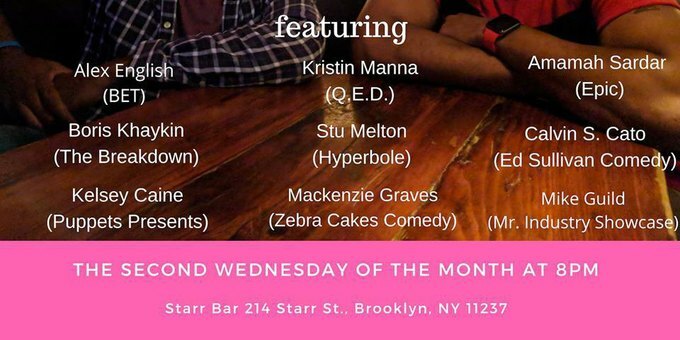 Starr Bar on Feb. 20 at 8 p.m.
No Cool Kids is a monthly standup comedy show at Starr Bar in Brooklyn. There are absolutely no cool kids allowed. Hosted by Bob Gurnett and Lauren Vino this month they will feature stories, jokes, and embarrassing pictures. We all feel like a loser sometimes and this comedy show leans into that, empowering the nerd in all of us. Celebrating this they will invite their best comedy buds to talk about their awkward youth, complete with photo evidence. I repeat, no cool kids allowed! Line-up will also feature comedians seen on Comedy Central, NBC, HBO, TruTV and others. Our Wicked Lady on Feb. 26 at 8 p.m.
STEVIE is a monthly comedy show hosted by Marcia Belsky, Drew Anderson, and Sam Taggart. This show takes place the last Tuesday of every month at Our Wicked Lady in East Williamsburg. Loosely inspired by the iconic Stevie Nicks, this witchy production starts off each show with a round of hexes against any and all who have incurred their wrath. After all, WWSD - What would Stevie do?